Media artist, educator, inventor, and musician Perry Hoberman works with a wide variety of new and old technologies, ranging from the utterly obsolete to the state-of-the-art. 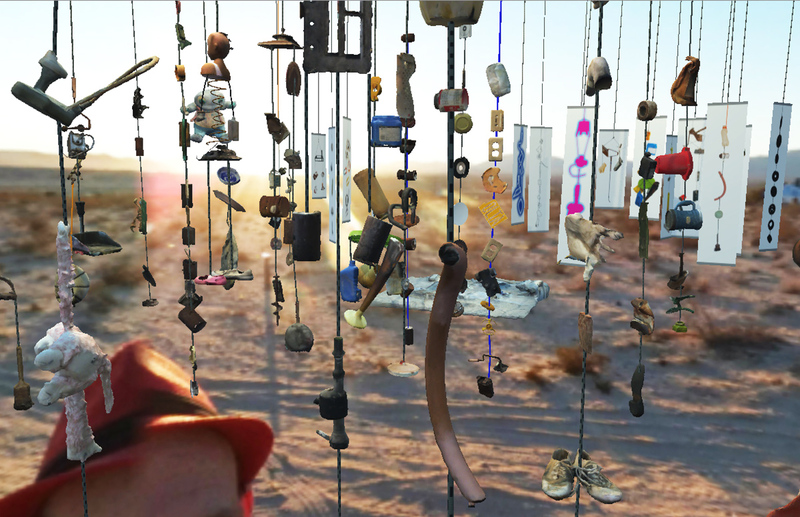 For his new new mixed reality installation “Suspensions” Perry used itSeez3D app and Structure Sensor to create 3D scans of the objects he collected in the Desert Heights neighborhood of Twentynine Palms, California, in the high desert near Joshua Tree National Park. We asked Perry to tell us more about his project and why he decided to use itSeez3D scanning app. I’m a media artist and a research professor at the USC School of Cinematic Arts. As an artist, I create sculptures, installations, performances and experiences, using a variety of technologies. As a researcher, I work and teach primarily in the field of immersive technologies, including virtual, augmented and mixed reality. Why did you choose itSeez3D as your 3D scanning tool and what for? 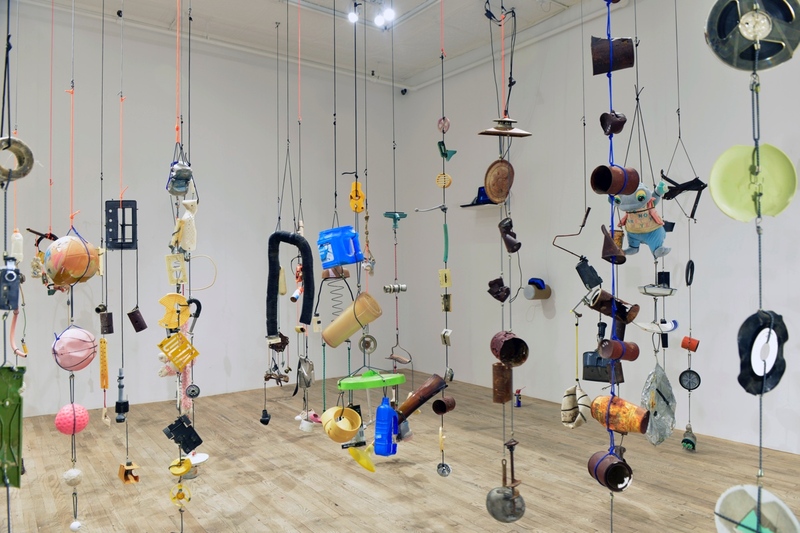 For my installation ‘Suspensions’, currently on exhibit at Postmasters Gallery in New York, I needed to make 3D scans of several hundred small found objects. I first attempted to use various photogrammetry solutions, which had worked for me in the past, but I soon realized I would never be able to acquire anywhere near the number of objects needed in any reasonable amount of time. So I researched available 3D scanning solutions, assuming I would need a self-contained 3D scanner. But these turned out to be mostly out of my price range. However, the combination of a (refurbished) iPad Pro with a Structure Scanner looked promising and affordable. I first attempted to use Occipital’s apps, but wasn’t entirely happy with the workflow or the quality of the scans. I found that the itSeez3D app gave me much better results, and was far easier to use. How does itSeez3D app help you in your project? The ability to bring easily bring real world objects in virtual worlds is a game changer. Many people don’t even realize that (in the VR headsets) they’re seeing 3D scans of the objects in the show and not the objects themselves! What do you like most about the app? What features are most important to you? I like nearly everything about the app. It’s well designed, stable and fast, and very intuitive to use. I especially appreciate the fact that you can continue scanning additional objects as you’re waiting for existing files to be uploaded, processed and downloaded. Without this feature, I would never have been able to complete my project in time. Do you plan to use the app in the future? Yes, I’m sure I’ll be using it extensively in my own work, as well as in the classroom and for research. The exhibition is now open and will work till March 31, 2018. If you’re in NYC, please make sure to visit Postmasters Gallery and check it out. For more information about the installation, visit: http://www.postmastersart.com/archive/hoberman18/hoberman18direct.html.